A Year of Being Here: Mario Benedetti: "Don't Give Up"
"Don't Give Up" by Mario Benedetti, from unknown source. Text as posted on Peripateia (07/06/12), translated by John Hemingway. English and original Spanish are found at this link. If anyone has further source information, please share. 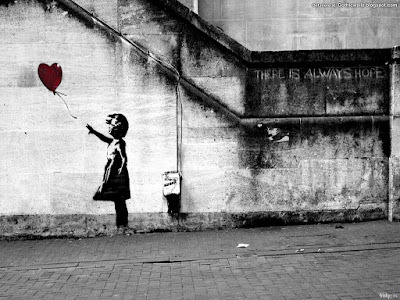 Art credit: "There Is Always Hope," wallpaper (also by various other names) by unknown photographer. How on earth do you write like that? Thank you for lifting my day. I wish Mario were here to answer your question! Yes sadly, I should have put how did he write like that? It has set me on the path of reading his other work. Thank you.